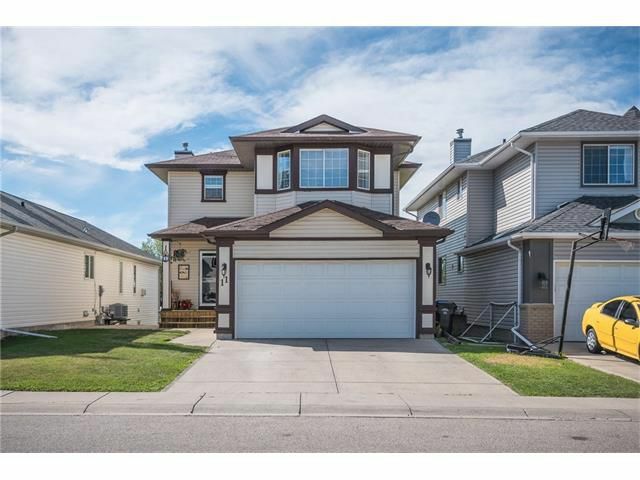 A dream home with four bedrooms, walkout basement back to a park/greenspace and a playground. On main level you will find hardwood flooring in family room, renovated u shape kitchen with granite countertop, all stainless steel appliances, a gas stove, two piece bathrooms with laundry room and a pantry. Upper level you will find a spacious master bedroom with walk-in closet, ensuite with two person shower, plus two other good size bedrooms, one is called bonus bedroom which situated above the garage. An office/den is currently used as a bedroom. Full finished basement is used as a huge family room, you can easily add one bedroom, roughed in bathroom, outside the back yard, there is hottub covered porch area, a view of the park, skating range and a playground, close to school, shopping mall, Stoney trail ring road and Deerfoot trail. Ideal home for a large growing family, book your showing today!